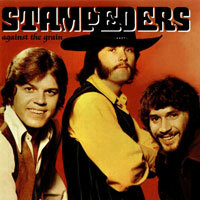 Another one-hit wonder...this one coming from the wind-swept prairie of Calgary, Alberta, Canada. "Sweet City Woman" is unique because it is a pop/rock song that uses a banjo as the lead instrument. It also has a distinctive little electric guitar lick that plays after the first and third lines of chorus I. The cowbell is sprinkled throughout and it mimics the "bon c'est bon" during chorus II. The song was huge in Canada going to #1 on the pop, adult contemporary, and country charts! It got as high as #8 in the US. The band had many other songs that charted in Canada, but none were as popular as "Sweet City Woman" in the US. The song even won Best Single, Songwriter of the Year, Producer of the Year, and the band was band Top Band at the 1972 Juno Awards, Canada's equivalent of the Grammys. Overall, this a great little song that has stood the test of time and still holds up well. I still hear it on my local oldies radio station and I crank it every time it plays.